When I'm looking through my old magazines from the 1970s, 80s, and 90s, it's inevitable that a project by designers Zajac and Callahan will catch my eye. Back in the 1970s, the pair were known for their daring mix of bold color and pattern, something that was very much in vogue at that time. But what was especially notable about their work was their frequent use of furniture and accessories that they designed themselves. 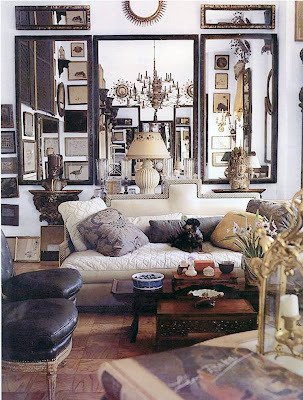 Their fanciful chairs and fantastical mirrors always seemed to add a lot of dash to a room. I recently learned that part of Edward Zajac's collection will be auctioned off at Bonhams on May 22. 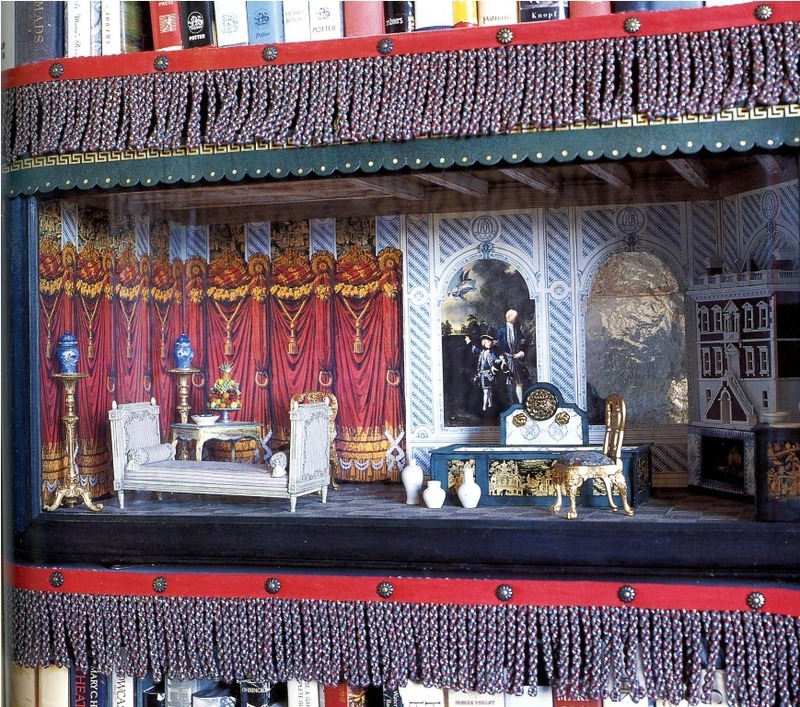 While some of the lots are antiques, mirrors (see the pair at top), a sofa, screens, and bookcases, all of which were designed by Zajac, are also included in the auction. What a terrific opportunity to own something designed by one of the most noted designers of the 20th century. And just in case you weren't aware of it, Mr. Zajac was a protégé of the great Billy Baldwin. Mr. Zajac was kind enough to send me some photos of some of his favorite rooms plus his thoughts about each. You can read what he wrote, below. But in the meantime, visit Bonhams website to see the full range of lots that will be up for sale. “Blanc Niege et les Sept Nains” . 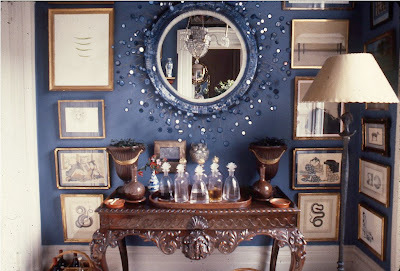 One of my early mirrors trembles and twinkles against walls of midnight blue, inspired by Madeleine Castaing and, of course, by Line Vautrin. 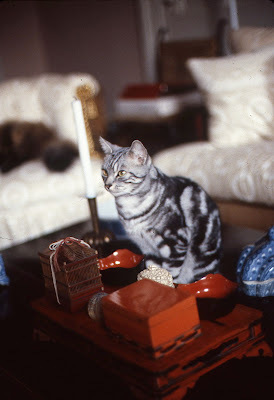 The entrance foyer to the magical brownstone where I lived in the 80s is filled with treasured objects and beloved cats. 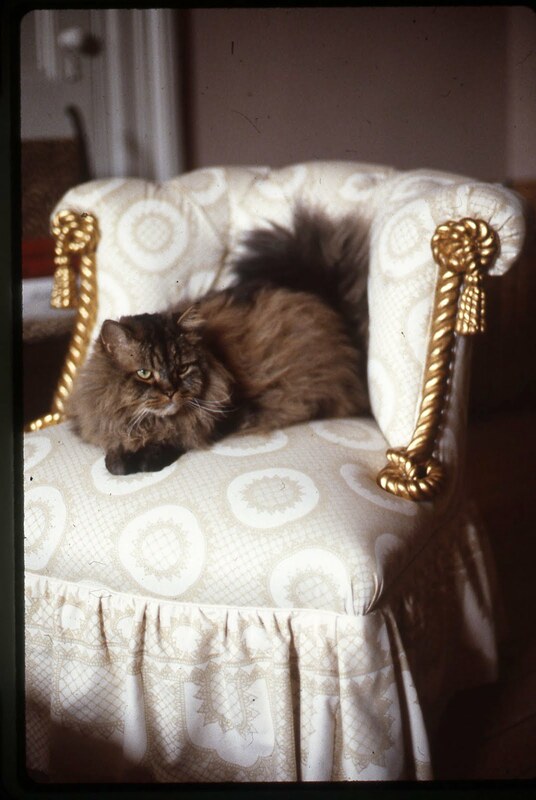 The rope chair in which Little Eddie resides is my design as is the featured mirror. Cecil, himself a work of art, perches amidst a collection of Oriental lacquer boxes. Fantasy in a Regency Folly. This house in Florida was designed after an English Regency house where one often might find a whimsical folly, capturing the exoticism of far away places and pleasures. 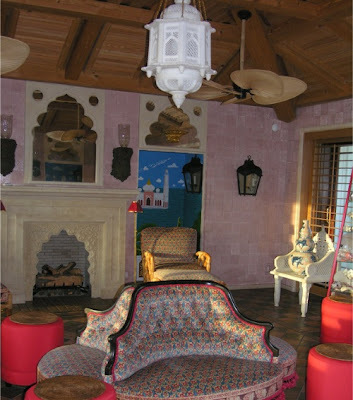 The Indian folly in this classical house captures the exotic lure of the East with murals painted in the Indian style. 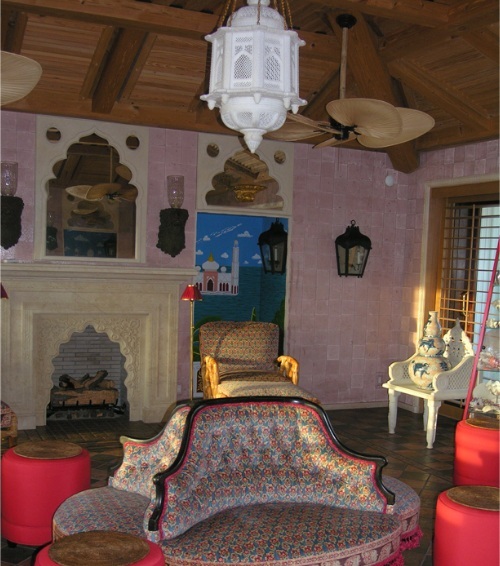 A perfect setting for parties filled with the flavors and sounds of Jaipur, Delhi and Hindustan. One of my favorite houses when I first visited Germany was Schloss Bruhl. It was the inspiration for this version in miniature which my partner, Richard Callahan, and I created for a charity auction. It has resided for many years in our apartment and now has moved on to be enjoyed by 3 generations of Richard’s family. 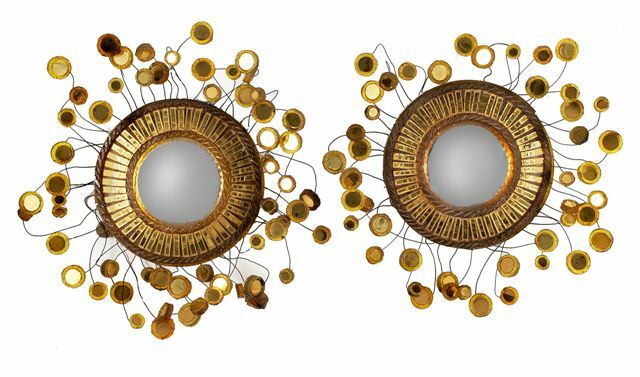 I could sit for hours in my living room filled with mirrors reflecting the many wonderful treasures which represent a lifetime of collecting. Presiding over it all, my dog George! Photos courtesy of Edward Zajac. I love the mirrors in the first photograph. I was just looking at a Zajac and Callahan interior just recently and wondered about where they were. What a wonderful tribute! 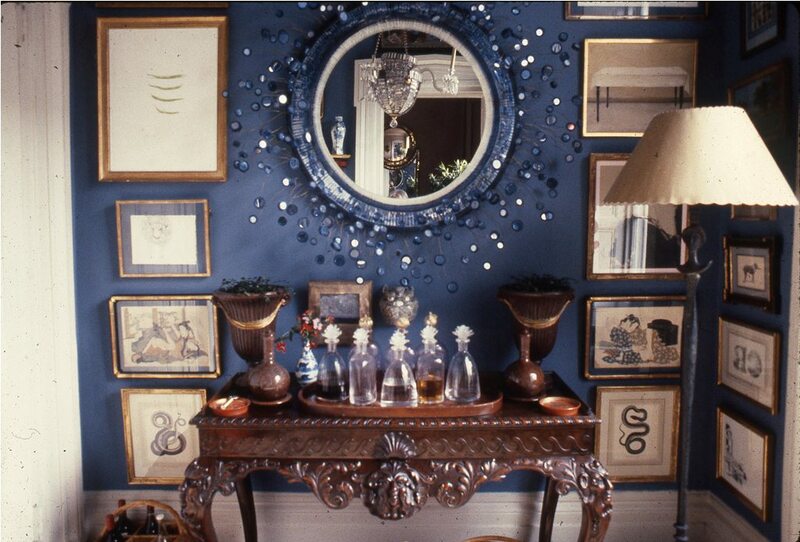 Not many outside the Greater New York Area today may realize the great influence that Zajac & Callahan has had on interior design - Mario Buatta being just one example. I love the gold mirrors!!! BEAUTIFUL!!!! Must have! How Does Your Garden Room Grow?